This is Part 2 of the 4 Part series that is taking a look at how you can tell the difference between a good tee and a bad tee! Over the past couple years IATT has developed a scale for grading t-shirts in four different categories, those categories being Packaging, Printing, Price and Presentation. In case you missed Part 1 (Packaging) you can read that HERE. Otherwise let’s get to part 2, PRINTING! Printing to me is one of the most important factors when buying t-shirts, but when buying online it is the most difficult to access. Obviously buying tees online has its hurdles, such as not being able to try on or feel the clothing, so examining or feeling the actual print can be extremely tough, actually it’s down right impossible without having it in your hands. Over the course of this article I am going to explain what you should look for when your t-shirt shows up and whether you should continue to buy from that company. While I am no expert on the entire printing process, I’m going to try explain what I look for when receiving tees. When looking at t-shirt screen printing, two of the first things I look for is how does it look and how does it feel. When taking a look at the printing what you should be looking for is how clean the design has been printed. Are all the lines sharp, crisp and clean? Can you see any white sneaking out from behind the design that doesn’t look like it should be there? When tees are screen printed the screen printed usually lays down a base coat that is white or some form of white, on to which they lay down the design on top of. During the screen printing process each color is laid down separately on top of each other as it moves from each screen. Some times, especially on older machines, or operators with a lack of experience the tee can move before the next layer of color is laid down. The result of this is the white layer showing through from the bottom, which is less than desirable. While this is pretty rare it does happen from time to time. Another thing I look for is how heavy or light an ink has been applied to the shirt. If the screen printer has laid down to much ink you can almost see the excess ink on the surface of the print. They key to a good print is to make the ink as much of apart of the actual shirt as possible. That being said as well, if ink is laid down to lightly you can sometimes see the t-shirt behind the ink, especially on darker tees. This to me honestly is even more important than how it looks and is usually way more obvious. Honestly most small screen printing mistakes that are made are not noticeable and can go undetected, but how a shirt feels is not easy to cover up. With many t-shirt companies opting for jumbo size prints and spot colors sometimes topping 8 or more colors, designs that are not printed well can feel like a giant size shield on your chest. There really isnt anything more uncomfortable than feeling like you have a plastic, non-breathable piece of art on your chest, believe me I’ve been there and I’m sure many of you have as well, it’s not comfortable! So why are some screen printed shirt more comfortable and soft than other? How a screen print shirt feels on a shirt comes down to factors including type of ink and the actual screen printer themselves. Most screen printed tees use plastisol ink, which as you guessed is a plastic based ink, as a rule plastisol based inks by themselves really don’t dye into or become part of the shirt, they instead sit on top of the shirt and are usually very noticeable to the touch. While plastisol doesn’t dye into the shirt, it is by far the most widely used ink when screen printing, for it’s bold colors, versatility and price point. Other inks that are widely used in screen printing include discharge and water based inks. These inks by nature are much softer because they actually dye right into the shirt, thus becoming part of the shirt which is extremely soft to the touch but lack some of the benefits such as bright bold colors that you get from plastisol inks. 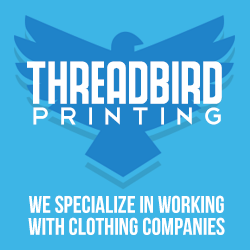 The only way you are going to know if a t-shirt company has quality printing is to either buy the shirt and form your opinion, know what to expect from certain inks (which is still very difficult) or read blogs such as Iamthetrend, Hide Your Arms, Pop Culture Tees and others. Most t-shirt blogs do a good job talking about printing quality and can be very helpful when buying shirts. If you do buy a shirt that has less than stellar printing quality or is uncomfortable to wear, RETURN IT! You should never have to pay for something that you are not happy with. Most T-Shirt Companies are more than willing to go the extra mile to make you happy! Adam thanks for the info, it has all been a big help!! not a problem TJ, glad you dug it! Awesome! Loads of good info. Thanks Adam!